Hello everyone! I almost forgot that I had this type of entry here on my blog where I share some random stuff with you guys. I was surprised that my last “randomness” post was way back September last year and to make matters worst, my last figure review post was like 6 months ago! My work schedule is really making it very difficult for me to post new stuff and I do apologize specially to those people who are checking out the site daily. The only thing that I always make sure to stay updated is the figure preview section since I’ve been hearing good things about it from readers and told me it helps them a lot when it comes to their figure purchases. So yeah, hoping you guys had a great 2014 and I hope you’ll rock more this 2015. My 2014 was awesome too! Soo many good things happened both in my personal life and in my career. Had the chance to be interviewed twice late last year (which I’ll share in a separate post) and the interview was shown in national television ^^; My adventures in Culture Japan also continued last year with some really cool and interesting stuff from Danny Choo! I really wanted to share my experience working with that amazing guy but I’ll have to ask his permission first :P You know – some of the work I did are a bit confidential and I’m not sure if it’s ok to discuss those stuff publicly here on my blog. 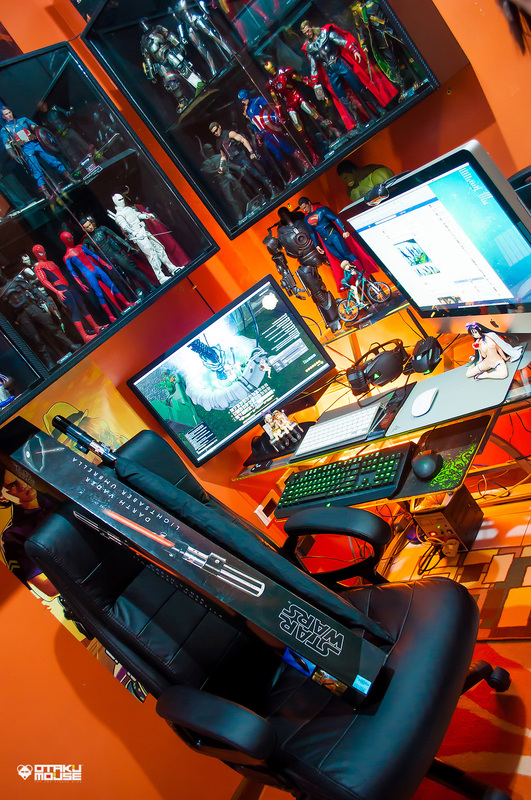 Below is a quick snap of my work desk last year. 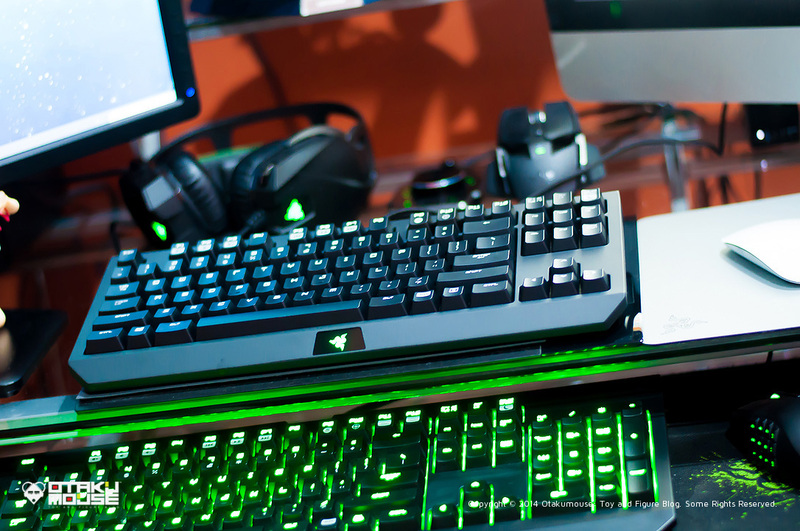 Been a fan of Razer hardware for years since it works wonders both in my work and in gaming. 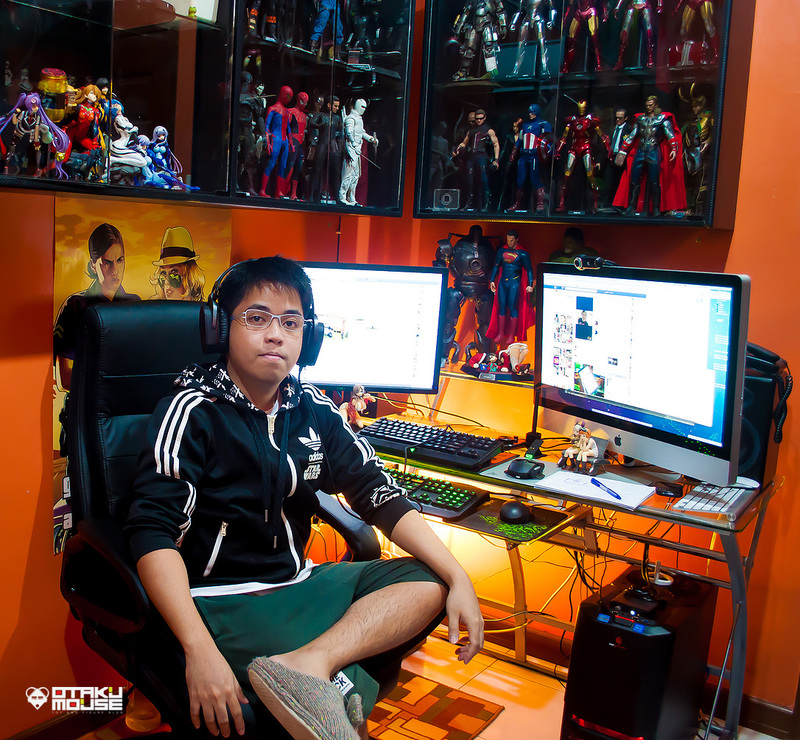 I’m currently planning to buy the CHROMA version of Razer’s Blackwidow. I’m actually selling my Razer Blackwidow Ultimate so if you guys are interested, just ping me on Facebook or shoot me an email. 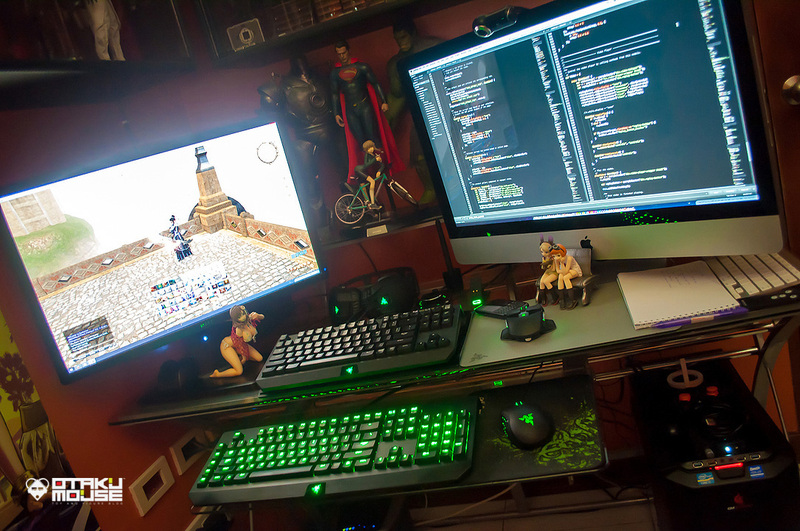 Pictured above are my Razer hardware which I both use in gaming and work. Here’s my time trial bike fresh from cleaning because I rarely use it. I’ve been a cycling since I’m in high school and I already collected different bikes ranging from mountain to road and even folding ones. You can check out my old post about it here. 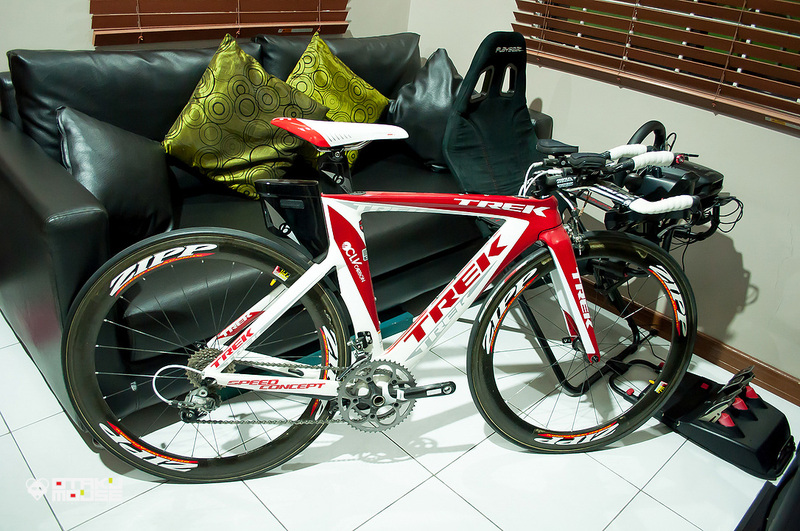 My latest road bike is a full carbon Ridely Noah which you can check out here. And yep, behind is my Playseat Challenge which is a foldable racing cockpit. I actually wrote a review about it here. 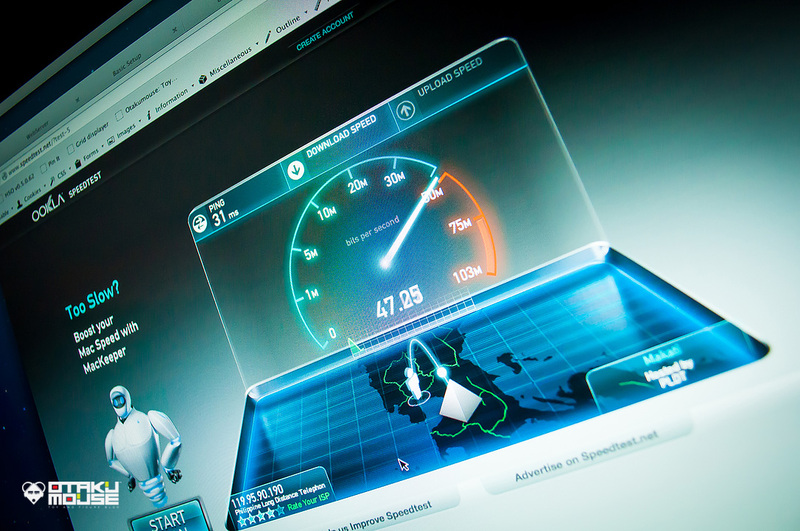 Did you know that internet here in the Philippines is one of the most slowest and most expensive in Asia? I’m paying 150USD for that 50MBPS connection every month! How’s the internet infrastructure in your country? Is it expensive as well? What’s your average speed and how much are you paying for it? I also finally got myself a new chair! Had to replace my 5 yr old one since I’m feeling it’ll break anytime :P I did not dispose it and had it repaired instead. Nope – that pink teddy is not mine. 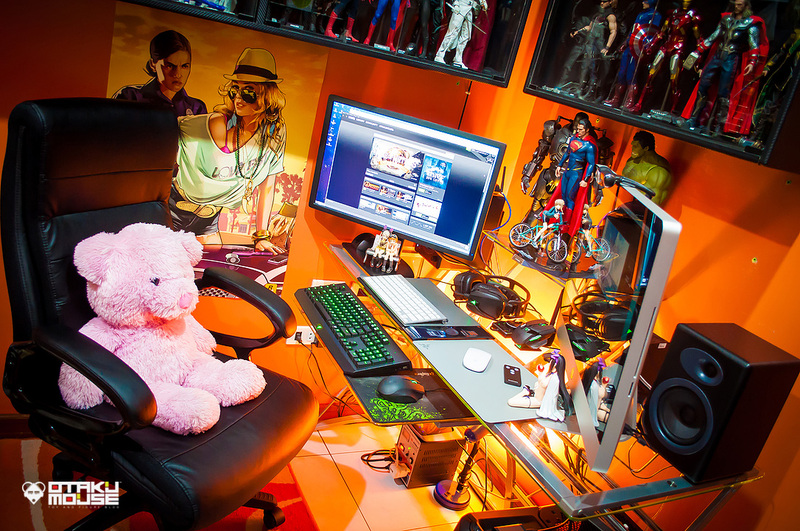 I’m not sure why my fiance decided to take this picture with that teddy on… If you’re wondering about that speakers, it’s an Audioengine 5+. You can check my review of this amazing audiophile grade desktop speakers here. Took me a couple of weeks to find a new chair since I’m making sure it fits both me and my desk height. Since I’m into cycling, I’m really surprised when I saw that there will be a Tour de France game on the PS4. Bought it instantly on release date. As for the game itself, the gameplay is pretty standard (and boring) sometimes and the graphics is not that great (it’s not a triple A game anyway). I do like the game feature where you can individually command your teammates to execute tactics in the heat of racing. Only cycling fans will be able to appreciate this game. I’ve been mentioning that my work makes it a bit difficult for me to write posts like this one. I basically work as a designer but I also do coding as well (like what I’m doing below). 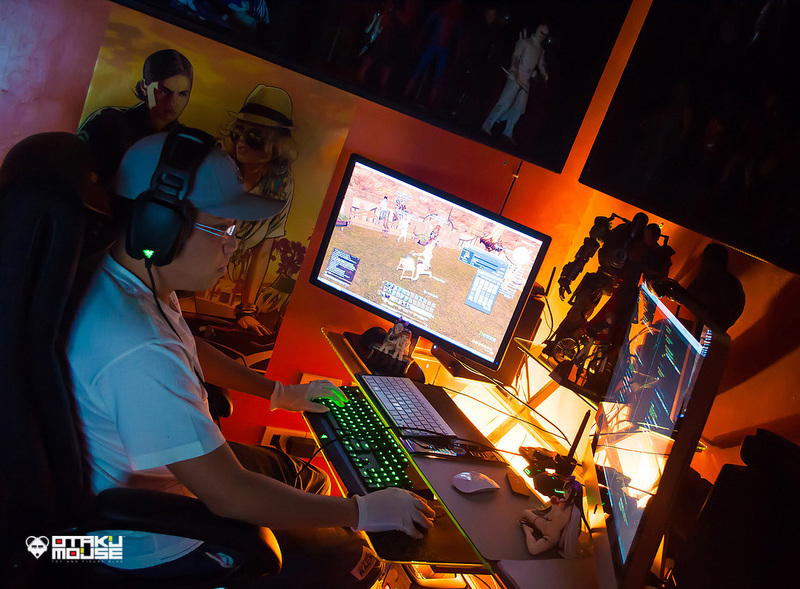 To tackle some of the work stress, I always have a game open on my PC – and most of the time that game was Final Fantasy 14: A Realm Reborn. 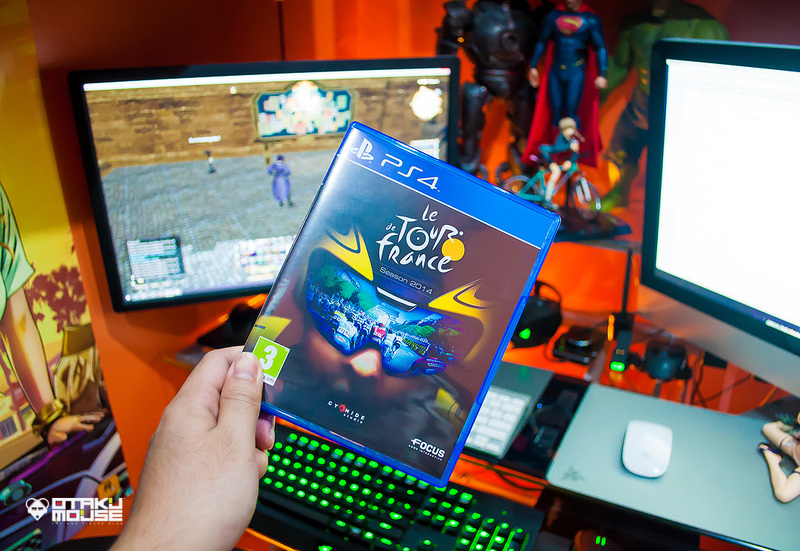 A really great game so if you haven’t tried it out, I advice you to take their free 14 day trial. For those who are already playing, I’m basically on the Japanese server “Tonberry”. In-game name is Suijin Amphitrite. Ping me if you wanted to hang out! What’s with the gloves? My hands are really sweaty you know :P And that gloves somewhat tricks my mind to not let my hands sweat again. If I don’t wear those, all of my work hardware will be greasy as hell haha! Here’s a quick shot of my office late last year. Most of my figure cabinets are already full and it’s now already out of space. All of my newly acquired figures are still unboxed due to this very reason. 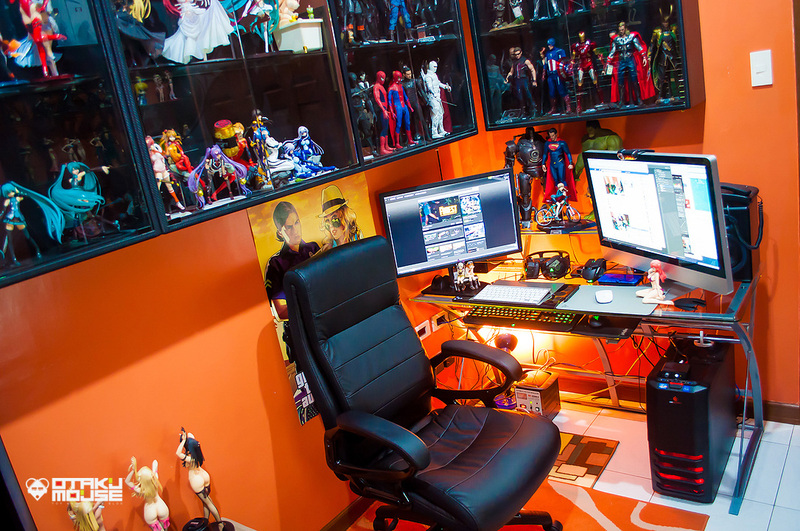 This year, one of my goals is to build a much more larger home / office for me, my soon to be wife, and my toys so wish me luck! 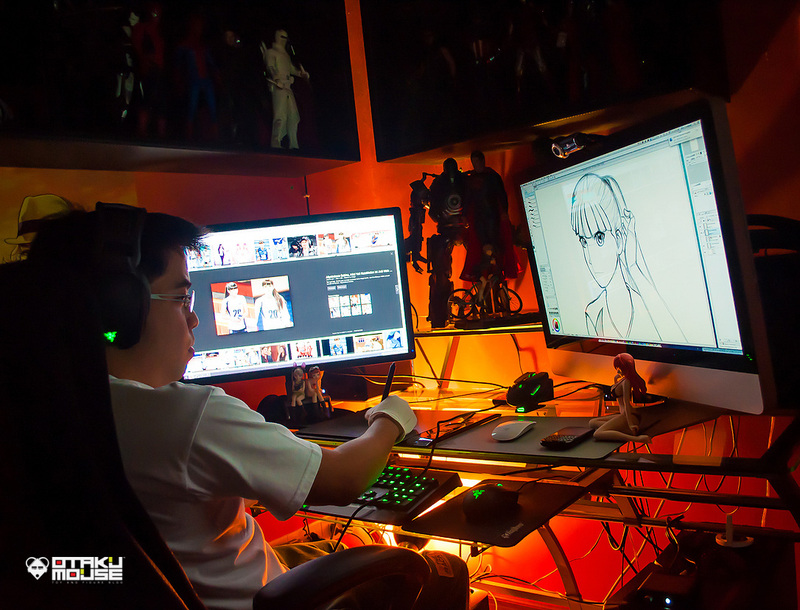 I’m also planning to post my 2015 workspace sometime this year since I think my last workspace post was way back 2013. Check out this super cool Star Wars lightsaber umbrella I bought last year. The umbrella is based on Darth Vader’s iconic laser sword. It means that when you pull this umbrella out, It would look like an actual lightsaber but once you push the button on the handle, instead of the actual “laser”, it will be the umbrella part that will be coming out. There’s also the Galactic Empire logo on the umbrella which makes it even more awesome! Not sure if you all heard of the Kazakh volleyball player Sabina Altynbekova who somewhat became the center of attraction here in South East Asia. Well, I jumped into the bandwagon of artists who creates different anime styled renditions of her. Here’s me doing my own version. Unfortunately, I didn’t even finish the artwork :P For creative peeps reading this post, I’m using my trusty old WACOM Intuos 4 tablet here. I bought the WACOM Cintiq 13” HD this year as a Christmas gift to myself and I’ll be sharing it on a separate post. I’ve been illustrating again lately since I feel that I’m getting really rusty in this creative department. 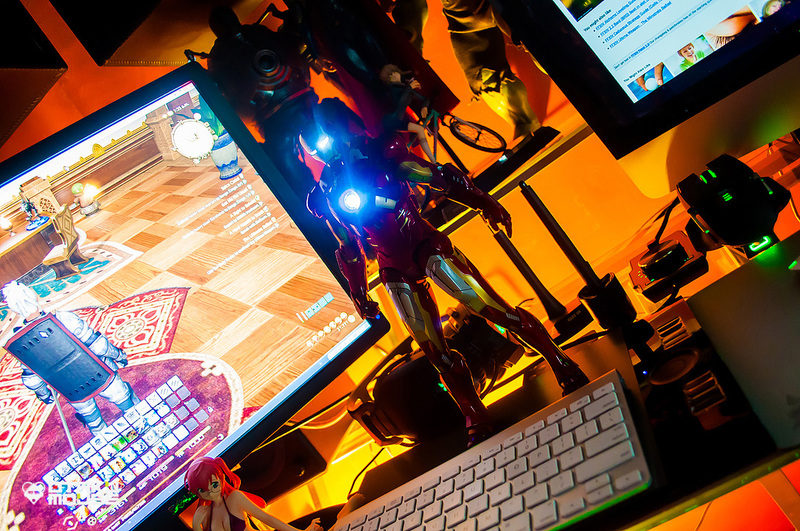 My Hot Toys collection actually started with Iron Man figures particularly the Mark VI and Warmachine from the second Iron Man movie. 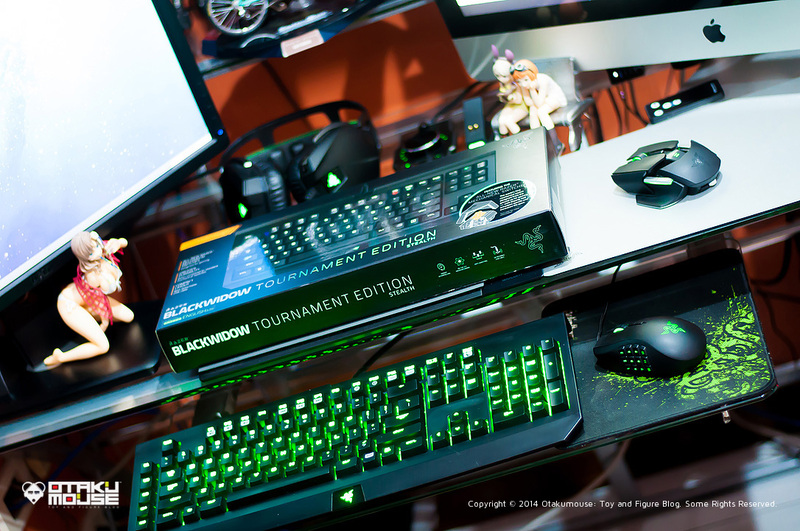 Also bought Razer’s Blackwidow Tournament Edition mechanical keyboard. The difference? It’s more compact compared to the standard Blackwidow Ultimate since they removed the numerical keypad. This version is the “ninja” version or what they call the “silent keys” and from my experience so far – I really liked it. The only drawback of this keyboard is it doesn’t light up like his big brother. Only the Razer logo is illuminated. My iMac’s bluetooth is kinda wonky so most of the time my keyboard and mouse always gets disconnected. This is the reason why I bought this keyboard in the first place. It looks slick and the finish is much more “matte” compared to the standard Blackwidow Ultimate. 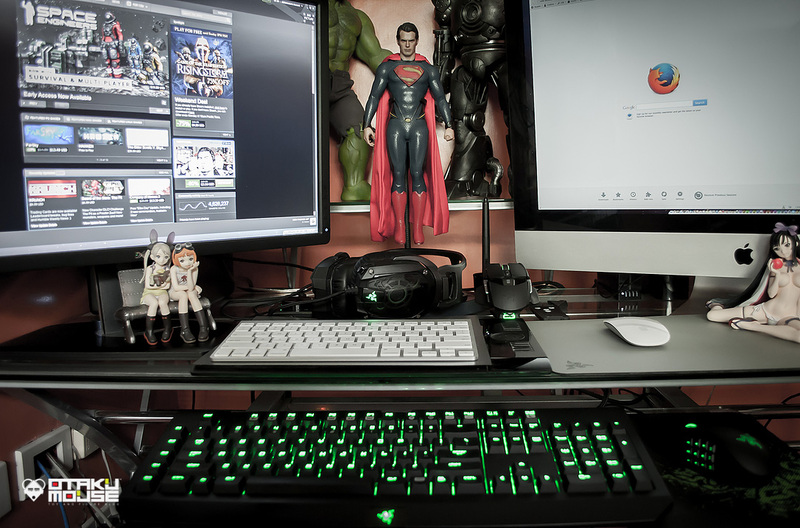 Here’s how my desk looks like with all these Razer hardware around. Coding is soo much fun with a mechanical keyboard. Last year, I also spent some time improving my UI/UX design skills for mobile since this is the trend right now. Almost all companies and brands have their own Iphone or Android app today and as a designer, I need to adapt or else I’ll be left behind. The design industry is a very competitive place and you need to make sure that you’re always ahead of others. 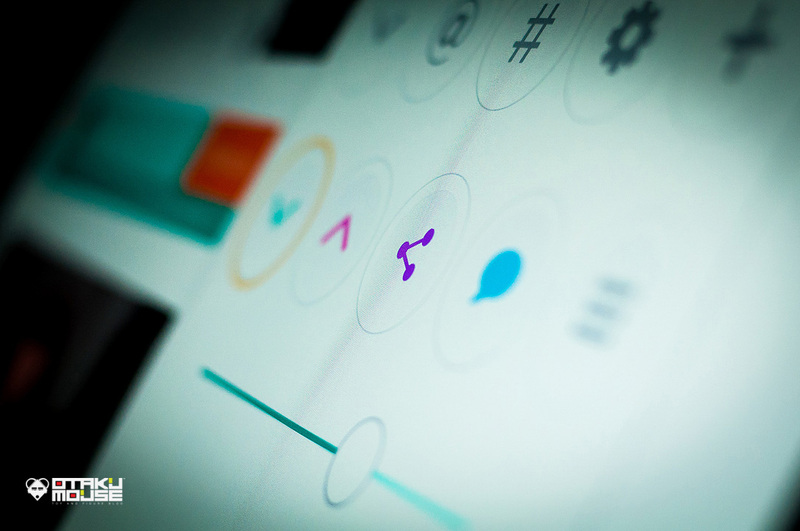 The concept of UI/UX design for mobile is pretty much the same and that is to make it look awesome and easy to use. The challenge here is how are you going to implement it on the small screens of mobile devices. Took a quick screeny of the last chapter of the Naruto manga. It kinda made me sad since Naruto is a part of my childhood. I guess everything’s gotta end… (but i don’t want it to end!). I heard they will continue the story with Bolt, Naruto’s son. I’ll be waiting for it! 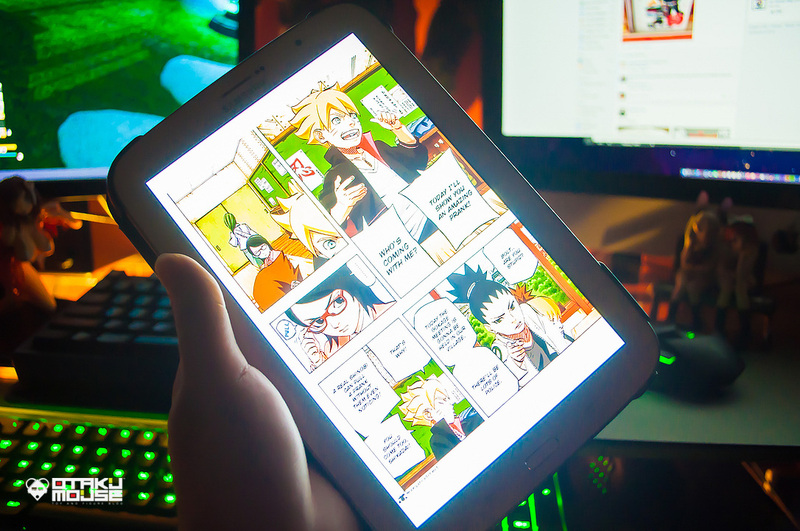 I do not own any physical copy of the Naruto manga but I’m planning to get the physical copy of the last chapter.